Home Facebook Tips HOW TO: Stop Getting Unwanted Friends Suggestions on Facebook? HOW TO: Stop Getting Unwanted Friends Suggestions on Facebook? 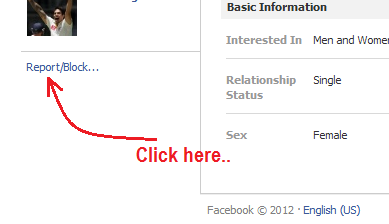 Facebook is a great social network but it has a sometimes annoying feature of suggesting friends. The purpose is to help you connect to others. Well many times it shows people you really hate and it keeps reminding and forcing you to send friends request. I am going to tell you how to get rid of those Facebook Friends suggestions. Just follow these steps. 2. Check for Friends suggestions. 3. If you find a annoying friends suggestion then visit that persons profile. 5. Click on Report/Block and you are done. I hope you don't hate many people as you will have to repeat his process those many number of times for each person.